You are here: Home / Blog / Manufacturing Schools / Where is USA Manufacturing going? 1) Manufacturing jobs that were already in America continue to grow. With organizations such as Workshops for Warriors training a new workforce, and movements like MFG Day encouraging a younger generation to show interest in our industry, the seeds of growth are being planted. Bloomberg News also declares that manufacturing is the strongest it has been since August 2009, with notable improvements this past December. 2) Manufacturing jobs reported to be moved to America from overseas. There is talk of Apple moving production of iPhones to America, while a Chinese garment company that makes clothing for brands such as Armani, is definitely moving to America. There is also the infamous story of Ford canceling a factory in Mexico and instead, investing Millions into a Michigan facility. With these moves, more manufacturing jobs will be created to keep the Made in America movement growing. 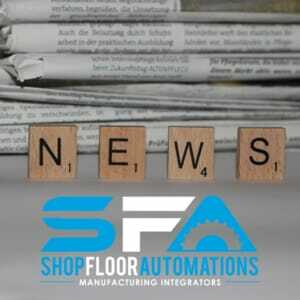 https://www.shopfloorautomations.com/wp-content/uploads/2018/04/SFA-Site-Logo-300x138.jpg 0 0 Amanda Rosenblatt https://www.shopfloorautomations.com/wp-content/uploads/2018/04/SFA-Site-Logo-300x138.jpg Amanda Rosenblatt2017-01-23 12:39:122019-01-30 18:54:43Where is USA Manufacturing going?